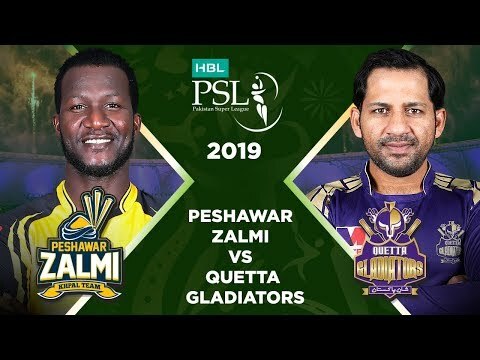 Match 34: Final Full Match Highlights Peshawar Zalmi Vs Quetta Gladiators | HBL PSL 4 | HBL PSL 2019 Subscribe to Official HBL Pakistan Super League Channel and stay updated with the latest happenings. Cricket fans from around the world are excited about the Fourth edition of the HBL Pakistan Super League. Competition is heating up among fans as their favorite HBL Pakistan Super League teams take on each other in the lucrative cricket extravaganza which includes leading Pakistan national cricketers, established international players, and an emerging player in each of the team's Playing XI.